Free Angel Card Reading – Find Your Answers NOW! 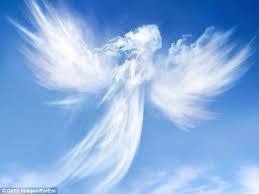 When you need guidance, insight or direction in life why not look to the angels? Try our free angel card reading now – answering questions and revealing truths on popular topics like relationships, work, family life, and money. Get Your Free Angel Card Reading for 2018! Get Your Angel Card Reading Now! It’s easy to find people who read angel cards online, but will their information be accurate? For a meaningful angel oracle cards you must use a site where the readers are truly gifted; so keep reading as this article tells you everything you need to know about how and where to find an accurate angel card reading online. 1 Get Your Free Angel Card Reading for 2018! 2 Enter Your Email To Receive Your Free Reading! 2.2 What are angel oracle card readings and how do they work? 2.3 Who is an angel card reading suitable for? 2.4 What will an angel card reading tell me? 2.5 How can I guarantee an accurate angel card reading online? 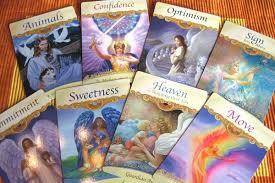 2.7 Are Angel card readings and tarot card readings the same? 2.8 How much does an Angel card reading cost? 2.9 Where can I find an accurate Angel card reading? 2.11 Are you ready to have your Angel card reading? 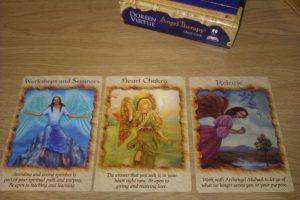 What are angel oracle card readings and how do they work? These fascinating and comforting readings create a connection to the angels and spirit guides who are always watching over us. Even though most people are not aware of it we are always surrounded by beings from the angelic realm who love and care for us. Angel cards allow your reader to connect with your personal guides and angels, and use their knowledge and wisdom to answer your burning questions or provide insight into a personal situation. Angel card readings are always positive, and the guidance you receive is given to help you live your best possible life. Some readers use their psychic skills to communicate directly with your guides and angels, but may use special Angel Oracle cards too. Angel cards each feature a unique image and message. 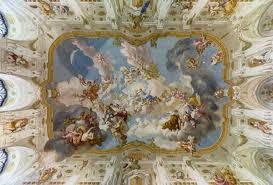 The image may be of an archangel, cherub or any other character from that realm – and each has their own specific message to convey. Your reader will interpret the meaning of each Angel card you choose based on the picture and text, alongside the messages spirit are passing on to him or her. Before your Angel card reading begins it’s important to feel calm and relaxed. If you meditate that will help create the right feeling, or you could simply breathe deeply, enjoy some quiet time, and empty your mind. Readers using Angel cards generally ask you to focus on the question or issue that is on your mind, and to hold it there while choosing the cards for your reading. You don’t need to have a special question – it’s fine to just ask for general guidance about something that’s on your mind, like work, or romance. You will be rewarded with insights which should help you understand things more deeply, and inspiring solutions which will give you peace of mind. If you have a burning question to ask don’t expect a definite yes or no answer, because Angel cards don’t work that way. Instead you will receive answers which will help you reach the right decision. Who is an angel card reading suitable for? What will an angel card reading tell me? An Angel oracle card reading will reveal ideas on the path to take to achieve the goal you are seeing. Your guides in the angelic realm and the cards you choose convey messages which will encourage you to make decisions, and help you understand the best way forward. You may be surprised by how much an Angel card reading reflects your current life, or even be shocked by messages about things you have not shared with anyone else. Angelic guidance is always positive and empowering – as Angel card readers believe the future is yours to change as you will. For many people the advice and messages received support what they already felt inside, providing a confidence boost when it comes to making decisions or choosing a pathway. How can I guarantee an accurate angel card reading online? Having an online Angel card reading is a special moment, a fantastic chance to get advice and information on a situation in your life that you need angelic help with, so it’s important you can trust what you are told in your session. If your reading is not accurate then it’s kind of pointless, but by choosing a reputable online Angel tarot card reading site you can be confident that everything you are told is honest, sincere and meaningful. Rather than waste your time and money choose a site like Kasamba , where around 30 experienced Angel card readers with positive feedback are available for an online consultation. They include Tabitha, a talented psychic with various skills, including reading tarot cards, runes and the crystal ball, as well as Angel cards. Tabitha specializes in the area of love and relationships. Or you could go for Aaron, who boasts 5 stars from over 1500 ratings, and offers insights into all aspects of your life using a combination of his natural psychic talents and the Angel cards. While Amethyst at PsychicSource is a third generation medium with 40+ years experience. She uses all her senses alongside the Angel cards to make your reading extra special and meaningful. Sometimes it’s nice to talk to an Angel card reader in real time, either by video chat or over the telephone, and most readers offer this type of service. However, if you are more comfortable communicating by email, SMS or text those options are also generally available from a good range of card readers. These also have a massive plus point – you get a written record of your Angel card reading to read and re-read as many times as you like! Are Angel card readings and tarot card readings the same? The fast and simple answer is no! They are both forms of divination, but tarot card readings often look at the importance of numbers, include predictions, and details of specific events, people, places or timings, and are often read in ‘spreads’, with the cards telling a story as a whole. Angel card readings are quite different as the responses your reader shares are generated directly from the topics or concerns on your mind that you need help with, channeled through your personal guides and angels. Some tarot readers also connect with those from the spirit world during readings, usually when the messages received reinforce or explain the cards. 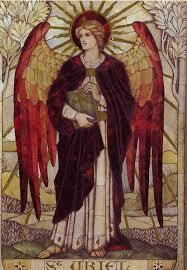 You may come across readers offering Angel tarot cards, which sit somewhere between the two. While mainstream Angel cards are named after realms, heavens, and cherubs, or carry a simple one world message, Angel tarot cards are organized into sections like traditional tarot; so you can expect to see the four suits and the main characters like The Fool, although the images will still be of lovely angels. How much does an Angel card reading cost? The costs of an Angel card reading vary between sites. You may see free online readings offered sometimes, but those are more for fun than anything – as an accurate reading relies on a connection between you, the cards and the person reading them. Standard Angel card readings from reputable and trustworthy sites cost on average somewhere between $2 – 15 a minute, but most also offer excellent introductory offers, as well as discount packages and free minutes with a reader to establish if you have a good connection. 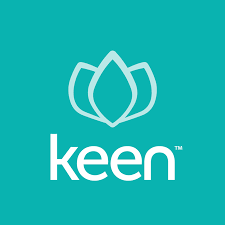 For example, if you hop over to the Keen website there’s a special offer of a 10 minute reading for just $1.99, while new AskNow clients can enjoy 30 minutes for $30 plus get 5 free Elite minutes on top. Where can I find an accurate Angel card reading? Don’t waste your time with fakes and fraudsters, head straight for a recommended site such as Oranum instead, and be confident that your Angel oracle card reader will be genuine, talented and insightful. Oranum is a great site for anyone new to Angel card online readings as you can browse through lists of specialists in certain topics, like love, or finances, or choose someone you feel drawn to from the live psychic page. It’s free to join and you get 9.99 credit as a sign up reward. 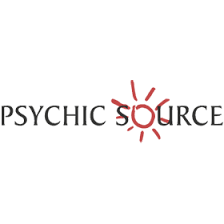 Another great site to check out is PsychicSource, where you can choose a sign up bonus of either 10 minutes for $10, 20 for $20, or 30 for $30 – all three packages come with a bonus three minutes. Anyone can claim they are a talented Angel card reader and charge you hard cash for sharing nonsense and tall tales – but choosing an established website with reviews and testimonials avoids any heartache. messages they receive make little sense. Presuming your reading is with a reputable and recommended reader on a trusted site the chances are your guides and angels are not wrong. ⇒Make notes on everything you are told, whether it strikes a chord or not – and over time you will most likely find that things start to fit together like a jigsaw. Sometimes our angel guides and guardians share something we are not able to face or admit, or the missing connection is not clear at the time of the reading. Are you ready to have your Angel card reading? Check out those amazing offers at Kasamba, PsychicSource, Oranum, Keen and AskNow, and don’t forget to come back and let us know how it went. 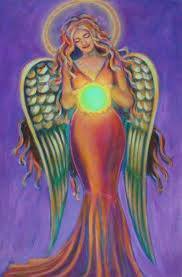 We love to get feedback from readers, and hear your heart warming Angel oracle card stories.